By Christof Lehmann (nsnbc): Nabil Abu Rodeina said Britain is responsible for the disaster that befell the Palestinian people a hundred years ago. “Instead of correcting the historic mistake and recognizing the Palestinian state with East Jerusalem as its capital, it is preparing to celebrate an incident considered by the Arab world and the international community as a tragic reason that the Palestinian people and the Arab region is paying for,” he added. Abu Rodeina urged the British government to “correct this mistake” in order to maintain security and stability in the region. On Monday, British Prime Minister Theresa May informed her Israeli counterpart Benjamin Netanyahu that Britain and Israel will jointly celebrate the centennial of the Balfour Declaration. May added, however, the Britain is committed to a two-state-solution. The Balfour Declaration (November, 02, 1917) is one of the most controversial historic documents pertaining the Middle East. 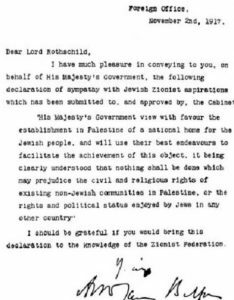 The Balfour Declaration confirmed the British support for the establishment of a “national home” for the Jewish people in Palestine. 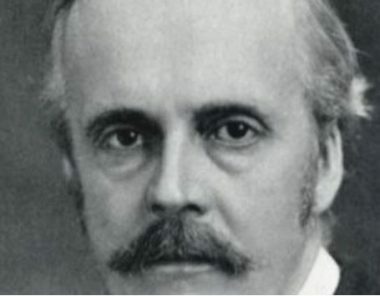 It was signed after three years of negotiations between the British government, leading members of Britain’s Jewish minority community and the World Zionist Organization before it was signed by Arthur Balfour. The letter was presented to then U.S. President Woodrow Wilson, who approved its content before publishing it. It was also approved by France and Italy officially in 1918, then publicly adopted by Wilson in 1919. In 1920, it was adopted by the San Remo Conference that was held in the aftermath of World War I and the declaration was incorporated in the British Mandate. The Balfour Declaration was negotiated within the context of World War I, parallel to agreements with Arab leaders who were promised “national independence” from the Ottoman Empire if they joined the war against the axis powers. The declaration is, in other words, a historic companion of the Sykes – Picot agreement and other “deals” that were made between allied powers, Jewish communities and Arab leaders. The Balfour Declaration “apportioned” a part of the “spoils of war” to Zionists. It is today widely recognized by historians that the declaration had two primary utilities. The Zionists would achieve British support for the establishment of a Jewish State in the Middle East. Britain, for its part, was assured that Zionists would join the war effort against the axis powers and draw the United States into the war. Ironically, this historic context is widely omitted. Proponents say the declaration helped establish a “Jewish Home”. That said, even many of the Jews who were living within the boundaries of the British Mandate opposed the massive influx of new settlers from war-torn Europe. Local Arab Palestinians denounced the declaration but forgot to mention that “Palestinian Nationalism” previously was subdued by Ottoman Imperialism. An objective historic and political assessment of the Balfour Declaration and its historic companion, the Sykes – Picot agreement would be that both are testament to the fact that people lacked and still lack the right to self-determination in the face of imperialism, colonialism, neo-colonialism, the cold war and post-cold war world included. People and their sovereignty don’t count when major empires or alliances clash. No atrocities are too horrendous, no bigotry is too embarrassing, no deviance from decency and moral norms is to gross and unpalatable, no double crossings are avoided, no blood is spared, no sanctity of life including that of children is to be taken into account, no cries are heard in any other form than the muffled and misrepresentative propaganda cries in flavors depending on allegiance, not on journalistic integrity, and people still die in the millions when “alliances” play geopolitics. Nothing of that has changed over the last 100 years; and the few who are cognizant about this fact and take action to change the status quo are denounced as unpatriotic, anti-Semitic, radicals, dissidents, conspiracy theorists, conveyors of fake news, propagandists, revisionists, terrorists, mentally ill nut cases not to be taken serious; while the Orwellian machine continues to devour life and dignity to produce power for the few. That is the true legacy of the Balfour Declaration – Happy Birthday London.